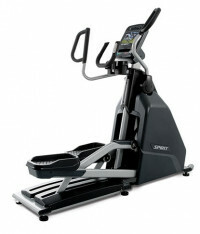 The Spirit Fitness XE895 has the flexibility to allow users to simulate the full body motion of a walk, jog, or run. 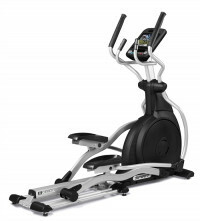 The CG800 is designed with convenience, comfort, reliability, and aesthetic appeal in mind. We are confident that if your members enjoy the experience – proper ergonomics and biomechanics, a smooth, quiet stride, and simplicity that they will adhere to a regular exercise routine. 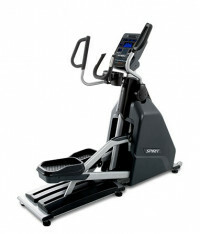 This model is geared around individuals that like to create their own workout as they progress through their routine. 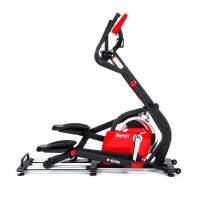 It will appeal to both runners and cyclists as a cross training modality that is full weight bearing, without the impact. 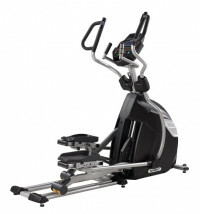 This unit features the patent pending “Direct Drive” system that creates a fluid, friction free “floating” experience, magnetic resistance, a 30 lb. flywheel, and simplistic programming.